It's time to spread a little sponsor love. I have some really great sponsors this month so make sure you take some time to check them all out!! Melissa has a really fun and creative blog over at the Life of a not so Ordinary Wife. This is a new blog for me and I have totally fallen in love with it. Melissa is super sweet and I know you will fall in love with her too. Make sure to check out her mega-giveaway going on right now and enter for a chance to win a ton of prizes!! You might just recognize someone's jewelry in the mix (hint, hint). Laura Beth at a step in the journey is a girl after my own heart - sweet tea, crafting, diy and Jesus. You will immediately feel welcomed over at her blog with her sweet southern charm and hospitality. Make sure you take some time to check out her house to home page for some great before and afters! I just love Emily over at Practically Pink. She is a sweet 17 year old who is wise beyond her years. I have totally learned a lot from reading her posts on her reflections about life, family and God. She is such a beautiful young woman inside and out and I know you will enjoy her writing as well. Audra heads up the awesome blog The Kurtz Corner. It's a fun place to find a new recipe, craft or meet a new blogging buddy. She has two great weekly link-up gatherings like her Sunday Social and Tuesday Tutorial Parties so make sure you join in on the fun and link up! She is most definitely one of the most encouraging bloggers around. 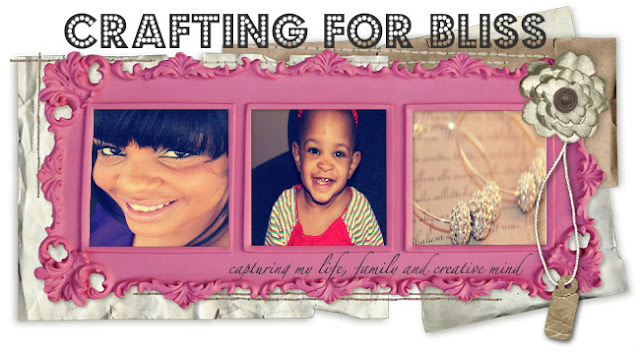 Giselle has a a new blog, Crafting for Bliss where she chronicles her inspiration, craftiness and life as a mommy. She is really talented and creates beautiful handcrafted jewelry and accessories that she sells through her Etsy shop. Make sure to show some love to this new blogger and check out her awesome shop! Amy at Buffalo Roam is currently building a really cool custom home and she has a great blog where she chronicles the ins and outs of the whole process. She is so super sweet and funny and I have loved getting to know her over the last couple of months through her blog. Lisa at Sew Gloried has a desire to glorify God in all she does - which includes blogging. She has a love of all things crafty and creative and enjoys sharing her projects with her readers! I love how her blog is a reflection of herself and how God would use her. Thanks for stopping by today, spread a little love and stop by these great blogs, leave a comment and meet a new blogging friend! Thanks for the shout out! I can't wait to check out the rest of these ladies. Definitely going to have to check these out! I am so glad to be on your blogging journey with you :o) Off to check out these other LOVELY blogs!